Trains are a crucial part of American history and are tied to decades of technological and industrial progression. In the book, Fast Trains: America’s High Speed Future, the authors Emy Louie and Nancy Bolts say it is as American as baseball or apple pie. The English vocabulary is teeming with train related phrases and words such as “caboose,” “on track” and “all aboard”, that leave constant reminders of the train’s influence on American culture. 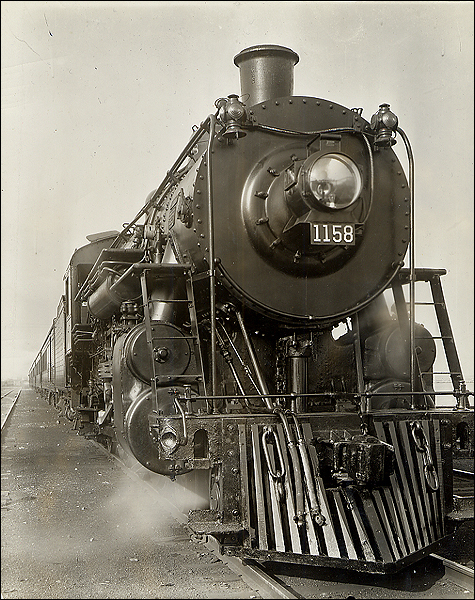 Steam Passenger Train, Illinois Central Railroad, ca. 1924. Copyright 2002, President and Fellows of Harvard College; all rights reserved. In an interview on Marilyn Shannon’s talk show, “Breaking Free”, (see excerpt at the top) co-author Bolts, part of a family deeply rooted in the train industry, described her feelings and experience with trains as pleasurable. “I have a lot of good memories and association with train travel, and I enjoy it,” said Bolts. However, Louie and Bolts stress that the association with trains shouldn’t stop at the feelings of nostalgia. “I feel rather terrible that trains nowadays are seen as something nostalgic…when point in fact is we can also look forward,” said Louie. It is not the end in the great tale of trains. Emy and Nancy proclaim in their book that there is still much to expect from these once revolutionary and inspiring machines. They provided a new way for people to move more effortlessly across cities, making travel more convenient, thus sparking the Industrial Revolution. The tendencies of trains to seemingly shorten distances still exist, but it is all contingent upon that one important adjective: fast. Emy and Nancy’s book, Fast Trains, plunges into this concept, by compellingly sharing train narratives and the undeniable benefits of a high speed rail system throughout the United States. America is embarking on cutting-edge technology and sustainable innovation and progressing beyond the happy memories of the choo-choo train era. 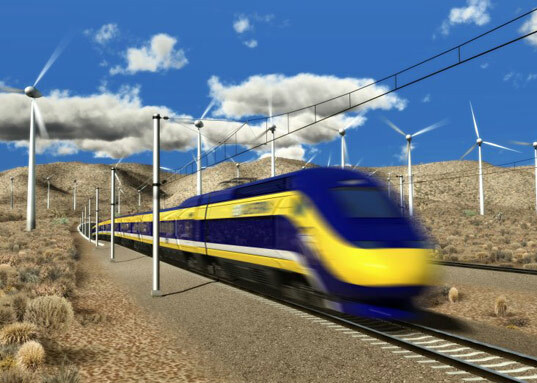 Imagine the possibilities we have to look forward to in a future in high-speed rail. This entry was posted in Trains and Travel: Past, Present and Future, Travel and Human Interest Stories and tagged CAHSR, california state train museum, Emmy Louie, Emy Louie, fast trains, Fast trains book, fast trains the book, high speed rail, high speed rail book, high speed rail books, high speed trains, high-speed, hsr, interview, Marilyn Shannon, Nancy Bolts, old trains, The Break Free Show, train museums, Train Stories, trains, trains as nostalgia, US High Speed Rail Association, ushsr. Bookmark the permalink.